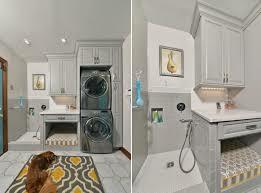 With so many washer and dryer options today, it can be hard to decide which one best suites your needs. Do you have a family with a lot of laundry? Is its capacity important to you? Do you care if it’s energy efficient? Here are some more of the top things to consider before choosing the best washer and dryer for you. First, determine what you and your family needs in a washer in terms of capacity, water and energy efficiency, volume, length of wash cycle, programs, and filtering systems. 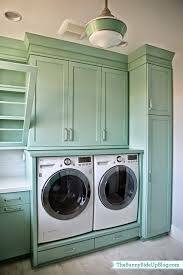 Generally, there are two types of washing machines; a top-loading and front-loading. Each type has its pros and cons. For instance, a top loader is not as energy efficient as a front loader. But, a front loader generally has a longer wash cycle. 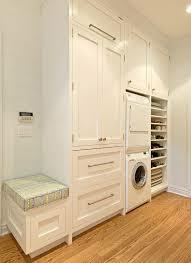 Capacity: Capacity should be one of your first considerations when choosing a washer. Choose a machine that will meet the needs of your family. Most washers measure in kilograms. Choose a machine that is large enough for a family with a couple of children. Efficiency: Water efficiency is measured by how efficiently the machine spends its energy. Because each area of the country has different water-usage figures, check with your local water utility to determine the best ways to save in your area. Keep in mind that a top-loader is not as energy efficient as a front loader. Volume: Whether you care how loud your machine is depends on your living situation. 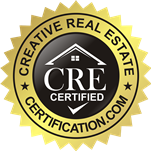 Do you live on the second floor, and are you keeping your neighbor’s need in mind? Where will your machine be located? If you’ll be doing laundry in the basement or garage, its volume won’t matter as much as if it’s located next to the family room. Cycle Length: If you’re often in a rush, or if you have a lot of laundry that needs to be done because you have a large family, you don’t want a washer that takes too long to run a load. Top-loaders are usually best if you want shorter washing cycles. Machine Programs and Settings: While many programs on a washing machine aren’t necessary, you may choose one machine over another for a specific program that appeals to your needs. Many are available, such as spin speed, gentle cycles, and hand-washing cycles. Some modern washers can even determine the size of the load, the proper cycle to use, and how dirty your laundry is. These machines will likely be more expensive than basic ones. Filtering Systems: The filtering system strips lint away from your clothing as the machine washes them. Sometimes, top-loaders have issues with stripping away lint. If you have a lot of lint or animal hair on your clothes, you may want to invest in a front-loader. In addition to some of the above pros and cons, top-loaders are usually cheaper, more lightweight, and have a larger capacity. However, they are often less energy-efficient, use more laundry detergent, and harder on clothing. Front-loading washing machines are usually more energy-efficient, use less detergent, and have a faster spin cycle, which leads to a shorter drying time. However, they are initially more expensive than top-loaders, can crease clothes, and are heavier. 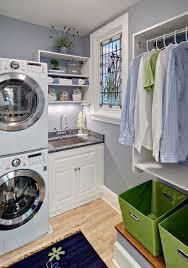 Dryers: While you should still do some research before choosing your dryer, most dryers are fairly equal. They all spin your clothing in a drum with a heat source. Below are two of the largest ways they differ. If you’re budget-conscious, you may want to consider using a gas dryer because they’re more energy-efficient. In addition, although dryers use a lot of energy, newer models have specialized options for drying clothing that can spend less energy depending on the setting. You can opt for one that has a cool-down cycle, a moisture sensor that tells the dryers when to shut off, and a damp-dry cycle. For drying items like shoes, some dryers also have a tumble-free cycle. I have one too!! Here’s the one that I have (its Samsung). If you have the room, I recommend NOT getting a stackable washer/dryer. I know they take up a lot of space, but having them side by side is much more convenient, and any other arrangement will irritate you in the long run. Just make sure the doors swing open the right way.